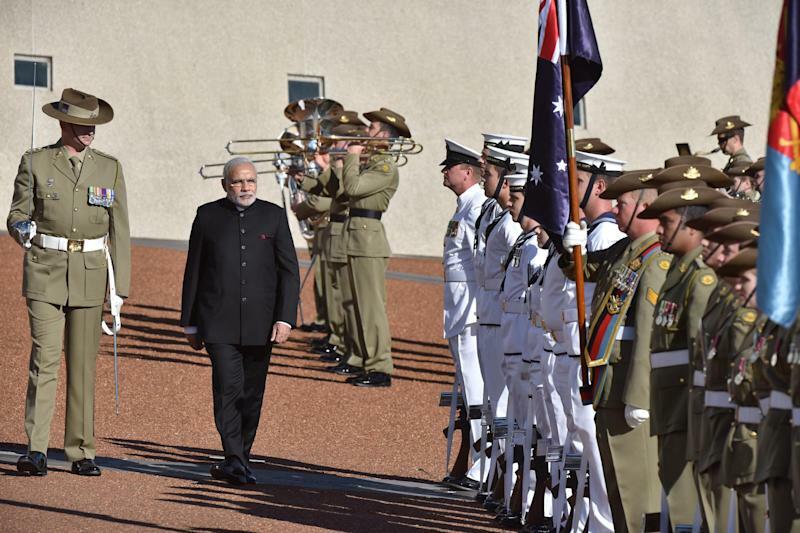 India and Australia vowed closer defence and security ties while stressing the importance of economic cooperation a day after Canberra sealed a huge trade pact with fellow Asian superpower China. India's charismatic leader Narendra Modi, who was given a rock star welcome by thousands of rapturous supporters in Sydney on Monday, described warmer relations as "natural". "This is a natural partnership emerging from our shared values and interests and strategic maritime locations," he said in Canberra on Tuesday after inking agreements on drug control, social security, and tourism, as well a new framework on security cooperation. "Security and defence are important and growing areas of the new India-Australia partnership for advancing regional peace and stability and combating terrorism and transnational crimes," he added ahead of addressing parliament. His comments came a day after Chinese President Xi Jinping used the same venue to repeatedly pledge that his nation, which is involved in territorial conflicts with a handful of neighbours, would always use peaceful means in pursuit of its goals. Modi's trip Down Under -- for the G20 summit in Brisbane and a state visit -- is the first by an Indian prime minister in 28 years. It comes just two months after Abbott's tour of India, during which the two countries sealed a long-awaited nuclear energy deal. 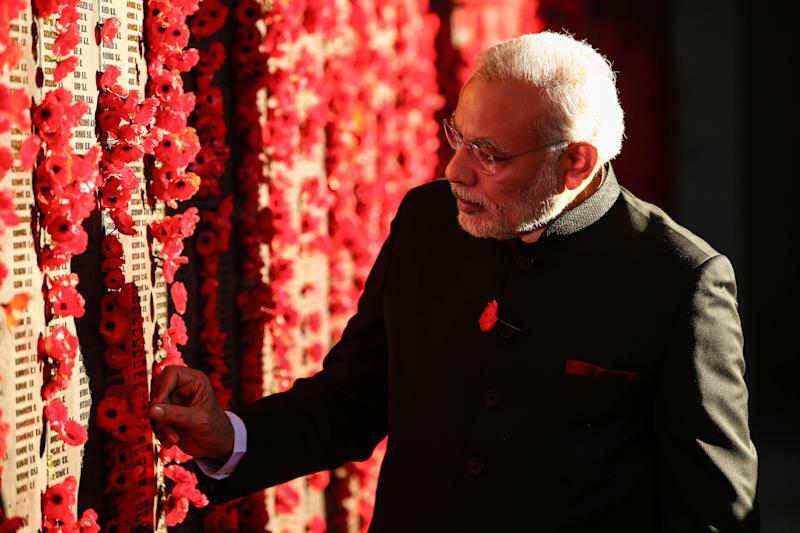 Modi, who won India's biggest electoral victory in three decades in the April-May polls, said injecting new momentum into bilateral trade and business relations was also of key importance, calling Australia "a vital partner". He called for Indian businesses to have easier access to Australian markets and quicker investment approvals. "India and Australia have a great economic synergy. There are huge opportunities for a partnership in every area we can think of -- agriculture, resources, energy, finance, infrastructure, education and science and technology," he said. "The economic climate in India has changed. I believe it will be a lot easier to convert opportunities into concrete outcomes." On Monday, Australia sealed a landmark trade deal with China that will abolish tariffs in the lucrative resources and most agricultural sectors as Canberra confronts a painful downturn in mining. 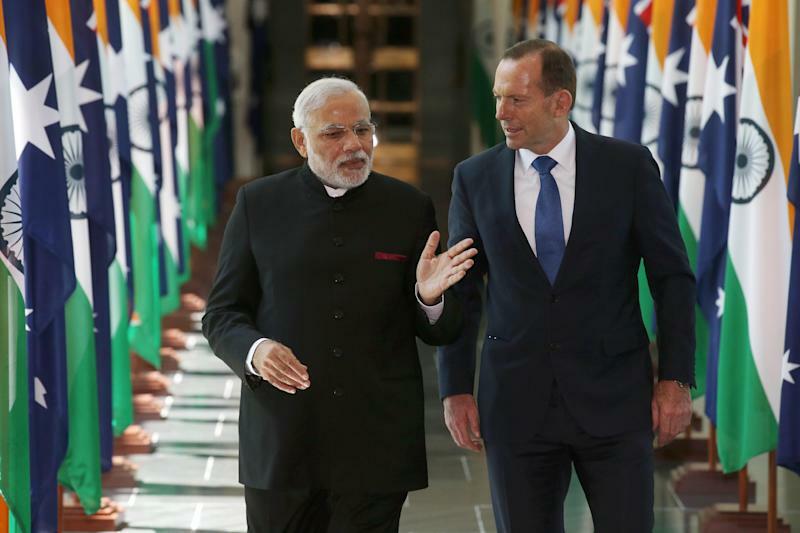 Abbott already has his eye on a similar outcome with India, flagging the prospect of a pact by the end of next year. "By the end of next year we will have a free trade deal with what is potentially the world's largest market," Abbott said, adding that both leaders "will make it happen". Abbott added that the bilateral relationship was ready to move beyond cricket, a sport in which they have a long-time rivalry. "We in Australia tend to associate India with cricket and with sport," he said. "But we can never forget that India is an intellectual powerhouse, a potential economic powerhouse," he said, pointing to trade being "underdeveloped" while urging better intelligence and military cooperation. "There's an enthusiasm on both our parts for more bilateral and trilateral military exercises and we hope to see much more of that in the years ahead," the Australian leader said. For his part, Modi said it was important that any economic growth did not impact on the environment or climate. "(We need) energy that does not cause our glaciers to melt, clean coal and gas, renewable energy, a fuel for nuclear power, cities that are more sustainable and liveable," he said. "We see Australia as one of our foremost partners in the region," he said. Modi also referenced cricket to highlight the shared history of the two countries. "India and Australia can play cricket hard with each other and I suspect we will next month," he said referring to his country playing a Test series in Australia. Modi later travels to a function at the Melbourne Cricket Ground, where India will face Australia in the traditional Boxing Day Test this year.